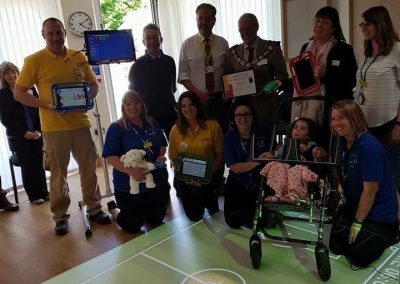 On the 24th May, Lifelites delivered a brand new package of specialist technology for the children and young people who are cared for by the Isle of Wight’s unique end of life care partnership between the Earl Mountbatten Hospice and KissyPuppy charity. 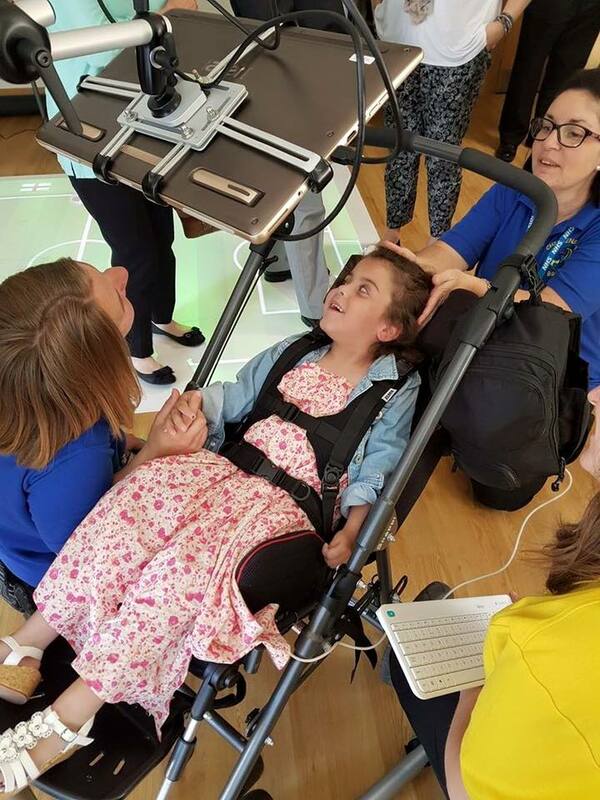 The portability of the equipment means that staff are able to use it to bring Lifelites magical technology to the children in their own homes. 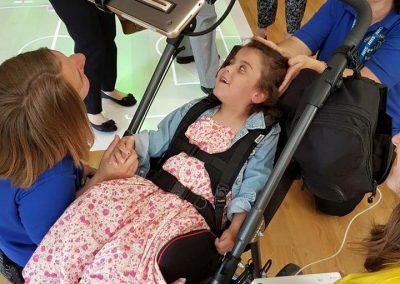 Lifelites, recognised for their good work with technology as a 2015 Nominet Trust 100 winner, is the only charity to donate and maintain assistive and inclusive technology packages for life limited and disabled children in every baby and children’s hospice across the British Isles. 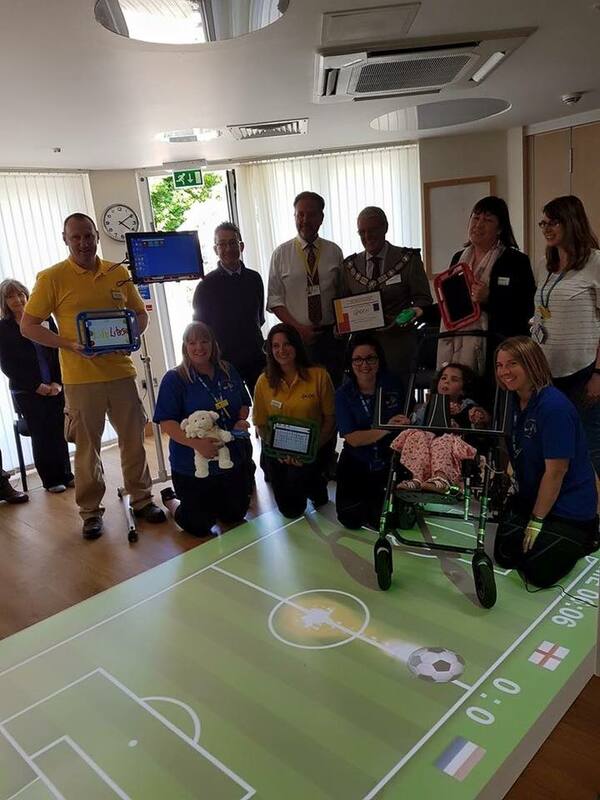 At the Lifelites training day, the care team were amazed by the cutting edge equipment that will enable the young people to play, to be creative, control something for themselves and communicate – for as long as it is possible. 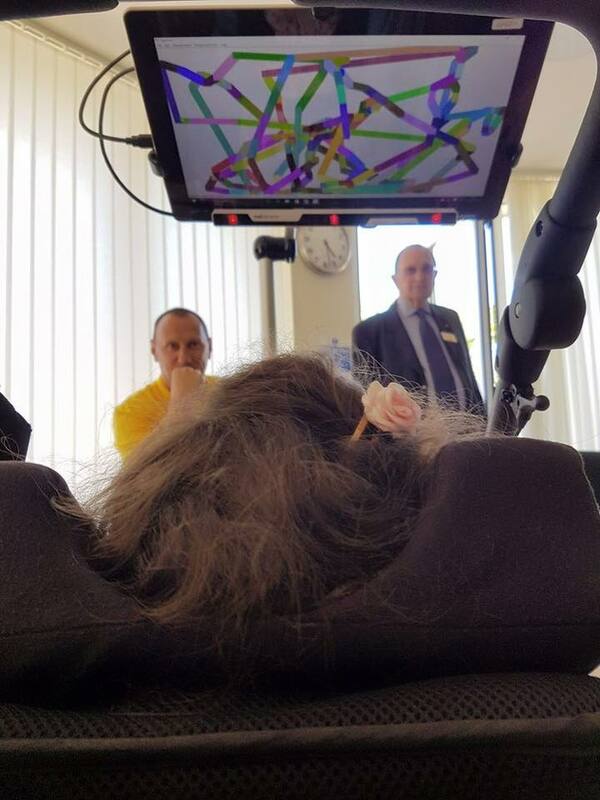 The technology is selected for children with disabilities and the package includes a number of magical items such as: specialist iPad packages, Beamz music system, Eyegaze and the brand new Mobile Magic Carpet. 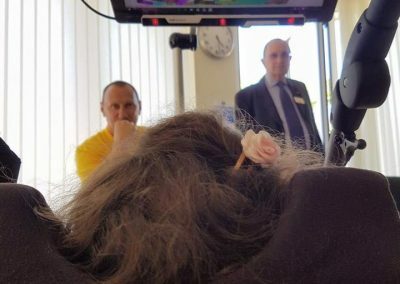 The Earl Mountbatten Hospice Partnership is a unique service bringing together three Isle of Wight organisations; the NHS, the KissyPuppy Sophie Rolf Charity and the hospice itself. This partnership is the first to receive the new version of the Mobile Magic Carpet from Lifelites for their children. 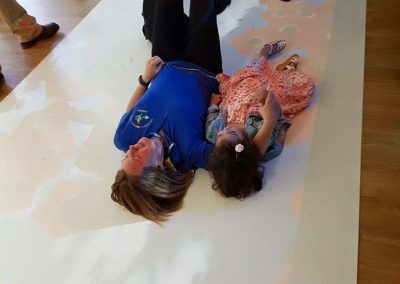 The Magic Carpet helps the children escape the confines of their illness by projecting interactive games and images onto the floor that users with little or no mobility can play with simply by moving on or over the picture. It brings the outside world in giving them the chance to splash in the sea, fly a plane or play football with their brothers and sisters, irrespective of their disabilities. The new system is more flexible than ever, offering the facility to change the size of the image so it works with users at different levels, whether using it on the floor, on a table, bed or chair. 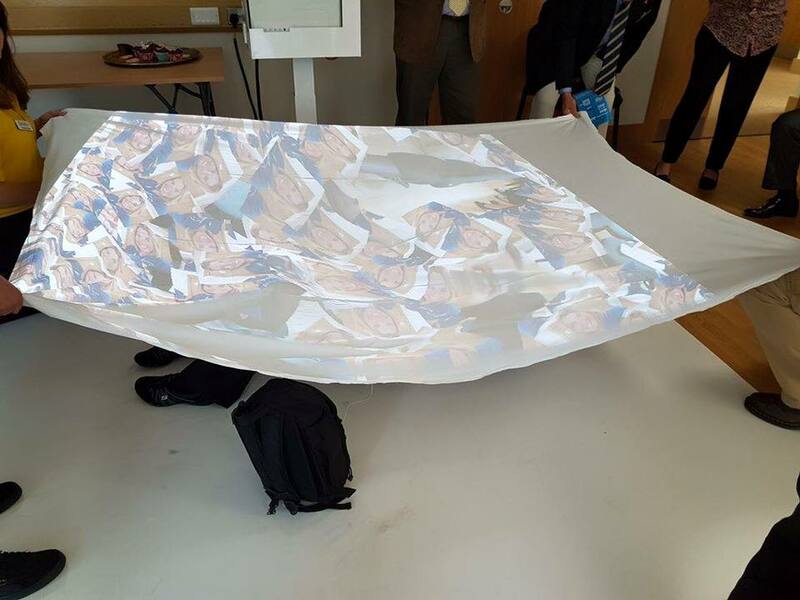 The best thing about this magical piece of equipment is that it is very compact and light so can be easily moved and transported which means the hospice community team can take the Magic Carpet to the children to use in their own homes. There is a Lifelites project in all baby and children’s hospices across the British Isles. The hospices do not pay a penny towards their Lifelites project and all of Lifelites’ work is funded by donations: the equipment, ongoing technical support and training at this hospice@home project will cost Lifelites £20,000 over four years. 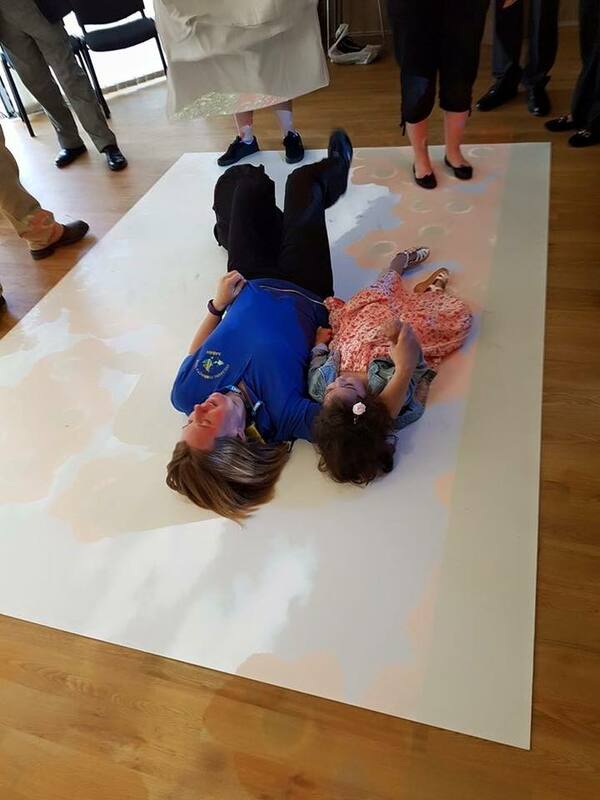 Lifelites has been able to realise their dream of providing for the children on the island thanks to the incredible generosity of the Freemasons of The Provincial Grand Lodge of Hampshire and Isle of Wight who have funded this project.